Ionic Soil Grow is an easy to use all in one solution perfect for most beginners. It is a stable, 100% pure mineral nutrient ideal for use in soil mediums. Ionic Soil Grow delivers unadulterated nutrients for a perfectly balanced uptake of nutrients for proper growth during the vegetative growth phase. Made with all natural mineral salts with not chemical additives that is easy to use with no measuring or PH fluctuations. 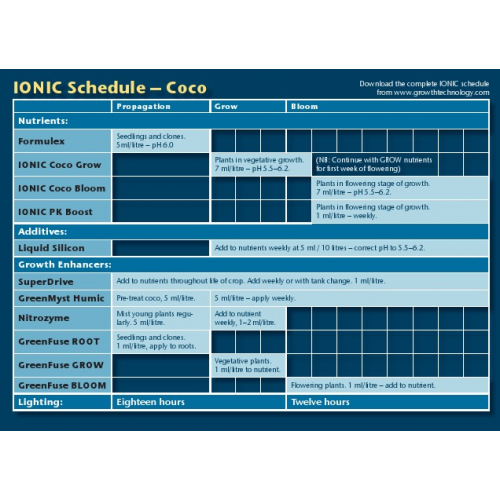 Ionic Soil Grow has a powerful buffering agent to control PH balance for less metering and balancing needed. 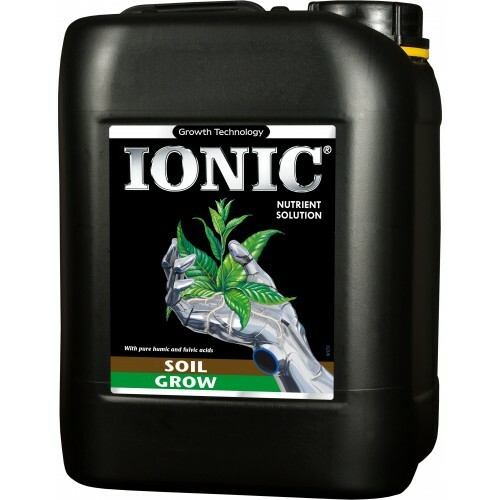 Ionic Soil Grow has been scientifically studied and manufactured for completely balanced nutrition of plants grown in soil during the vegetative growth stages. It provides powerful unaltered uptake of a balanced ratio of minerals and nutrients to plants for fuller, greener foliage. For fuller, greener plants that are healthier and stronger use Ionic Soil Grow for delivery of the purest nutrients in a balanced ratio.